Whale researchers can recognise whales and dolphins using photos and body parts. 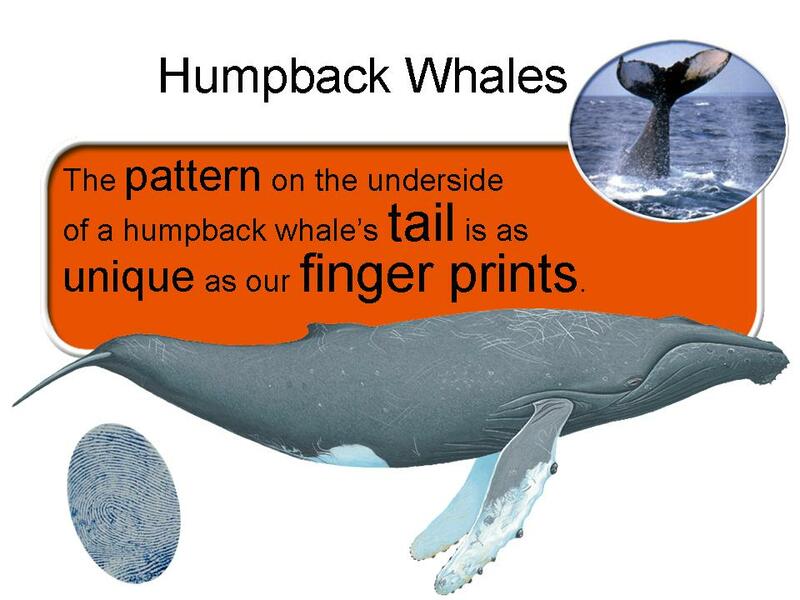 For example, the humpback whale has a strikingly white and black patterned fluke (tail fin). Their colouring and pattern is as unique as a human fingerprint. Why not make a thumb print on a piece of paper and get a friend to do the same. Compare the thumbprints. What differences can you see? Whale researchers can make an identification just from photos. They try to take a photo of all the tail flukes of animals in an investigation area to provide a catalogue. Every animal will get a name and/or number. In this way they can say exactly which individuals they have observed on later excursions. 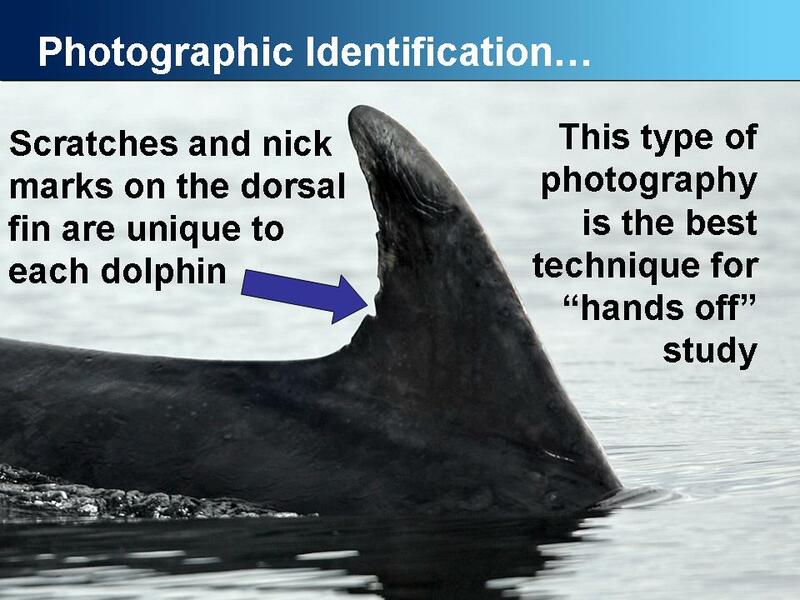 Dolphin researchers look at the dorsal fin (the one on their backs) to notice its shape and any nicks or marks. 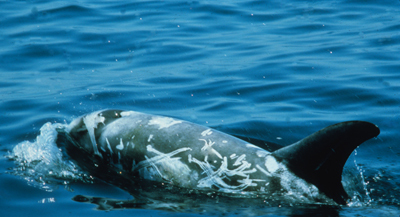 They also note the unique patterns of scars and scratches on their bodies, like on this Rissos dolphin. 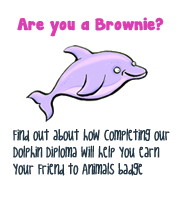 Download a booklet (4mb) about photo-ID and to learn about some of the dolphins from northeast Scotland, UK.